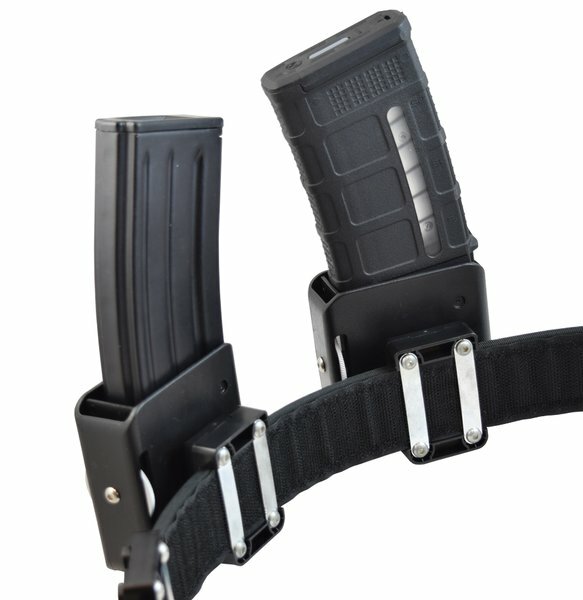 Most AR-15 mag pouches have their roots in tactical or military applications. Not this one! DAA set out to create a totally new competition orientated pouch for the AR-15, and we are very proud of the result, the DAA AR-15 Racer Pouch! The pouch borrows its design from the well proven and popular DAA Racer pistol pouches, and is adjusted in size and form to the AR-15 magazines. The aluminum wheel, leaf spring and pressure spacer provide tension adjustment, and you can adjust the release as you wish. 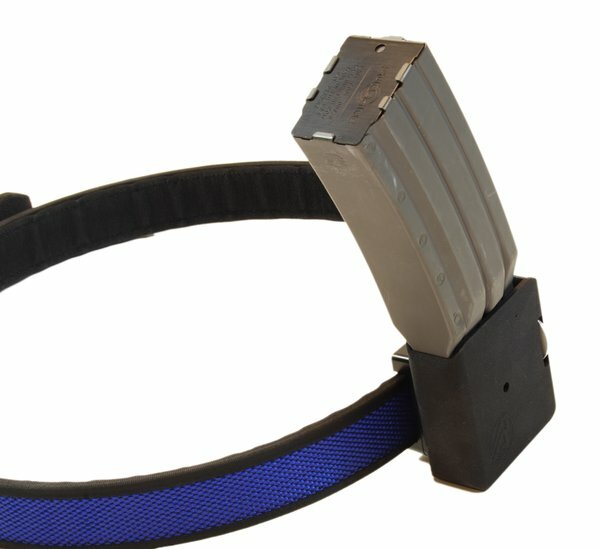 The magazine can be inserted into the pouch with bullets either facing forwards or backwards; the fit is equally good in both directions, with cutouts provided for the mag catch form on both sides of the pouch body. 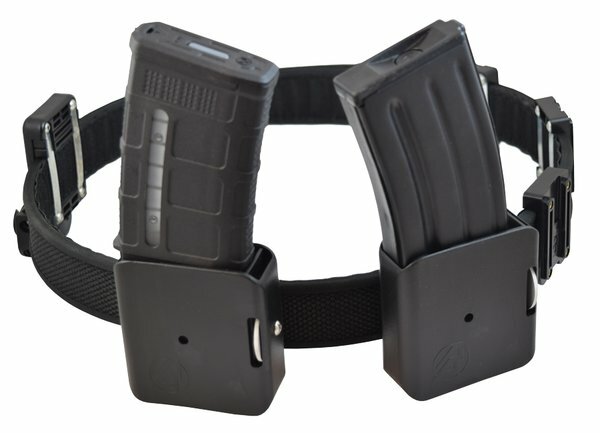 This pouch works with both polymer and metallic AR-15 mags. Supplied as standard with our Alpha Rail System, the pouch can be adjusted for tilt or exchanged for a pistol pouch or shotshell holder.